NARIP welcomes producers Grammy Award-winning Matt Still, Blue Rocks and Dan Hannon to discuss how to produce hit songs and develop artists to recognition and commercial success. How is great music created and produced? What do top music producers look for in an artist? How do you find, develop and keep artist clients? How do producers handle challenges such as creative control? How do they get the best performances out of artists? The producer’s role is vital in finding, shaping and guiding talent in the studio, and from there ultimately into the marketplace. Get an insider’s peek at the economic and artistic realities of the fastest-changing, hottest business in the world and don’t miss this intimate and interactive learning experience with top music producers. Seating is limited, priority will be given to NARIP members. Enter building from Andrew Young International Blvd. (behind Hard Rock Cafe). Latecomers please ring buzzer for entry. Closest paid parking deck is on Andrew Young International Blvd. Or take Marta train to Peachtree Center Station and walk to SAE Institute from there. Because you are registering for this program, we offer you the opportunity to pre-order the MP3 recording of the program for only $20 (regularly $39.95). This will also include digital copies of documents distributed at the program. This program will cover a great deal of information, and so you won’t have to worry about taking notes! To pre-order now, select the Premium Ticket option below, the mastered recording will be emailed to you within 2-3 weeks after our program (if not sooner). No refunds, all ticket sales final. We appreciate your cooperation. Thank you. Special thanks to Scott Keiklak and SAE for support of this event. “As music takes on another face, we have to fight for the spot of greatness! Which means real lyrics from the truth, and beats that make you fall in a trance.” So says Blue Rocks of Blue Rocks Music / Crossfade Studios. Born in Bed-Stuy Brooklyn he always knew music was his forte. “I started rapping in the 5th grade after I heard Big Beat spun for the first time by DJ Hollywood on a tape. I chopped that part about 30 times so all I could hear was beats and cuts. I wrote my first rap to that,” he says. He started DJ-ing, dancing, graffiti, the whole B-Boy lifestyle and hasn’t stopped since. 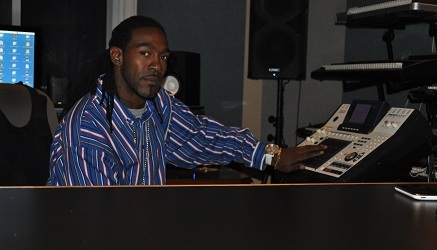 “I started producing around the age of 16 when my first producer E. Blaize showed me the ropes to making tracks. I learned melodies and chords from my cousin, Anthony Michael, an excellent piano player.” Over 18 years in the business has afforded Blue a full production and recording studio where he produces music ranging from Hip-Hop, R&B, Soul, and Reggae to spoken-word poetry. Blue Rocks dropped his self-produced debut album Lock & Load which is receiving great reviews all over the country. Blue Rocks works with Raekwon the Chef / musiq soulchild / OMG Girlz / Jagged Edge/ Kandi / MOBB DEEP / Special Ed / Bigg Bubb / Bobby Valentino / T-Boz and others. Blue is currently producing and engineering various projects for BLUE ROCKS MUSIC. He has 5 artists under his belt ranging from Hip Hop to RnB and beyond. Other projects include his DVD “Death B4 Dishonor” and a hip hop children’s book..
Dan Hannon is a music producer, engineer, mixer, songwriter, and musician. Dan recently finished production of the “Simple Math” LP, for Sony/Favorite Gentlemen artist Manchester Orchestra. He also co-produced their sophomore release “Mean Everything To Nothing” with eight-time Grammy Award Winner Joe Chiccarelli resulting in the Top 10 rock hit “I’ve Got Friends.” He produced, recorded, mixed, and co-wrote Anything Worth Saying by Aaron Shust the #1 Christian record of the year in 2006, which was nominated for six Dove Awards and won three. The song “My Savior, My God” is Billboard’s #2 Christian/Gospel Song of the Decade of the 2000s. Dan was also nominated for a Dove Award for Pop Contemporary Album of the year in 2007 for Aaron’s Sophomore release Whispered and Shouted. He currently serves on the board of governors for the Atlanta chapter of The Recording Academy. Matt Still is a Grammy-winning Producer, Engineer, and Mixer based in Atlanta, GA. A life-long musician, Matt started studying classical piano at the age of four and could read music before he could read a book. A career outside of music has never been an option for him. He started working in studios around Atlanta at the age of 20 and never looked back. Matt’s credits include Elton John, Outkast, Lady Gaga, Jewel, Rod Stewart, Joss Stone, PNAU, Santana, Alice In Chains, B.B. King, T.I., Nelly, Sevendust, Third Day, Bruce Hornsby, Ann Wilson, Steve Walsh, TLC, Arrested Development, Brandi Carlile, Patti LaBelle and Stevie Wonder. 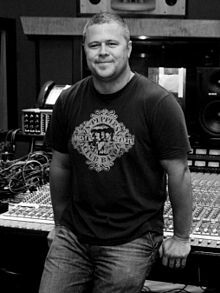 He is a three-time Grammy nominee and won the Album of the Year Grammy for his work with Outkast on “Speakerboxxx/The Love Below.” Matt has worked extensively in studios across North America and Europe. He recently worked with James Newton Howard on the soundtrack to “Gnomeo & Juliet” at Abbey Road Studios in London, and is now completing a project with Jewel for Lifetime and Placement Music. 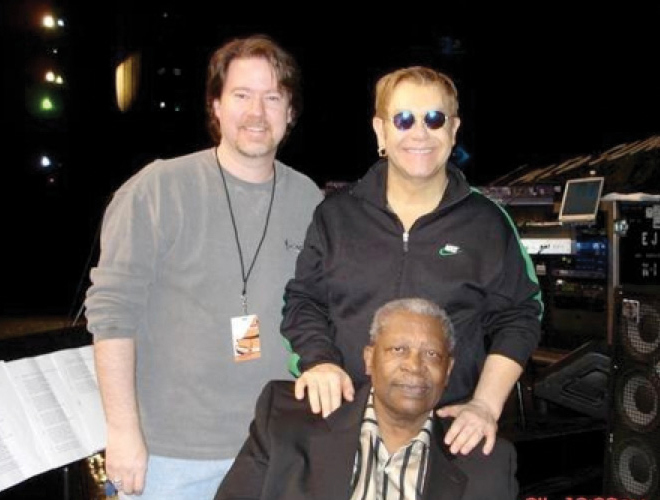 Photo: Still with Elton John and BB King. An Atlanta native, Chloe is passionate about getting involved with, and leaving a mark on, Atlanta’s music and entertainment industries. After graduating from Georgia State University she began working for a music management company in the public relations and new media marketing departments, and quickly expanded into the college radio promotion and marketing world. From there Chloe joined the board of directors at the Atlanta chapter of the National Association of Record Industry Professionals (NARIP), and also serves on the PR/marketing committee for Georgia Music Partners, an Atlanta-based non-profit dedicated to promoting the business of music and music technology in Georgia. 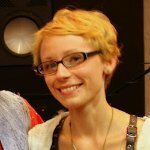 Most recently, Chloe has dived into music licensing and placement, joining the Affix Music team as the company’s newest associate.